Imports into Europe are one of the major features of global coal trade, resulting in a huge amount of activity at many ports within the region. But during the past three years a large reduction in annual volumes imported has been seen and, despite a pause in the past twelve months, a declining trend seems to be resuming in 2018. Moreover, numerous signs point to few reasons for optimism about a future reversal, or even easing, of the downwards trend, amid energy policy influences designed to diminish the role of coal. Despite the weakness in recent years, coal imports into European Union countries still comprise about 12% of the global seaborne market. Steam coal used mainly in power stations is the largest component, comprising almost three- quarters of the total. The remainder is coking coal used by steel mills. While the coking coal import volume is seeing only limited weakening, steam coal imports are being subjected to unrelenting downwards pressure resulting in a severe contraction which looks set to persist. EU imports are dominated by Germany’s large market, contributing almost one-third of the overall volume. Other major individual buyers are Spain, France, Italy and Netherlands which together have a share exceeding 40%. The United Kingdom also was in the major importers league until a few years ago but, since then, a dramatic fall has occurred, greatly reducing the country’s participation to that of a much smaller player. Elsewhere, Portugal and Poland are significant. While energy policy developments directly affecting coal consumption and imports in the EU are often the prime focus of attention, broader macro-economic trends affecting energy demand are still influential. An economic growth revival during the past couple of years has been supportive for energy usage generally. However, as 2018 has unfolded, stronger economic growth headwinds have emerged and forecasts have become less positive. The summer world economic update published by the International Monetary Fund in July this year suggested that GDP (gross domestic product) in the eurozone countries group could grow by 2.2% in 2018. Previously a slightly higher 2.4% was expected, continuing the improved growth rate achieved in 2017. Economic activity softened in several of the largest EU countries in the early months of the current year and, although a pick-up seemed likely to ensue, it became clearer that a variety of restraining influences was likely to continue having an impact. According to the IMF’s outlook assessment, GDP growth in the eurozone economy is “projected to slow gradually” into 2019, when a further slackening to 1.9% is envisaged. More recently in mid- September a poll of economists conducted by Reuters reportedly pointed to marginally lower annual rates than calculated by the IMF, at 2.1% in 2018 and 1.8% in 2019. Respondents to the poll emphasized additional uncertainties created by the trade dispute between the USA and China, potentially affecting economic activity adversely in Europe and around the world. Variations in the rate of economic growth, even when these are fairly minor, have implications for energy consumption and coal usage specifically. Activity in industries using coal indirectly through electricity consumption, or directly in steel manufacturing and some other manufacturing processes, is affected by wider trends in the economy. Coal imports into the European Union last year stabilized after a large reduction in the previous two years. This flattening of the trend suggested a possibility that negative forces were perhaps becoming less severe. However, some forecasters expect a resumed downwards trend beginning in 2018 and continuing through next year, amid further reductions in volumes by several of the main importing countries. According to data compiled by Clarksons Research, summarized in the table, the EU’s seaborne imports of coal in 2017 totalled 146.4mt (million tonnes), an almost unchanged volume compared with 146.3mt in the previous twelve months. The 2016 figure had resulted from a steep decline over the preceding period. In 2014 a 184.8mt total was recorded, so there was a 38.5mt or 21% fall in the annual volume over a two years period. The largest part of that fall was concentrated in the UK, where imports fell steeply. EU coking coal imports weakened relatively moderately. From 42.2mt in 2014, the total declined to 39.2mt last year, a 3mt or 7% reduction. The much larger steam coal component saw most of the overall fall, declining from 142.6mt in 2014 to 107.2mt last year, a 35mt or 25% reduction. Coking coal, required by the steel industry, is much less vulnerable to substitution by alternative energy sources than power station steam coal use which can be substituted by gas-fired power generation or displaced by renewable energy supplies. Among the major individual importing countries within the EU, the UK has contributed by far the greatest proportion of overall weakness in recent years. Four- fifths of the reduction in annual EU seaborne coal imports reflected lost UK volumes. The remaining one-fifth reflected varying performances in other countries, not all of which were negative during the three years from 2014 to 2017. In France and Spain rises were seen, while the Netherlands experienced variations ending with only a small change. Germany and Italy were more affected by negative influences, resulting in large falls. Germany has remained by far the largest European coal importer even though its volume has diminished. Four years ago in 2014 seaborne steam and coking coal received by German buyers totalled 53.0mt, as shown by the Clarksons data, which comprised 29% of the EU quantity. The annual volume declined by 13% to 46.1mt in 2017, comprising a slightly larger proportion, 31% of the EU quantity. Another notable coal import decline, of 19%, occurred in Italy over the same period of three years, from 19.4mt to 15.8mt last year. The accompanying decrease in Netherlands was much smaller, a minimal 2% decrease from 15.8mt to 15.5mt last year. By contrast, France ended the period with a 11% rise to 14.5mt, after seeing a weakening from 13.1mt which was then more than reversed. In Spain, annual volumes in the past three years fluctuated sharply in both directions. The 2017 total for Spain was 18.4mt, 17% higher than the 15.7mt total at the beginning of the period. The most spectacular change was the United Kingdom’s plummeting import demand. In 2014 power stations, steel mills and other UK coal buyers imported 38.4mt, although that was already a 15% reduction from the preceding year. Subsequently there were massive annual falls to 7.8mt in 2016, an almost 31mt or 80% reduction in two years, followed by another relatively small 7.4mt reduction in 2017. Mostly this reflected coal-fired power station closures amid a rapid shift towards alternative fuels and renewable energy supplies, especially wind-generated electricity. Increased use of biofuels for power generation in the UK provides a prominent illustration of negative pressures on coal demand. Expanding biomass power output has mainly reflected coal-fired plant conversions. Support is provided by the government, paying a premium price above market prices for electricity generated. The biggest user, in the form of wood pellets, is the mega-size formerly coal consuming Drax power station, where three generating units comprising half of the plant have been converted for biomass, and another unit is undergoing conversion. of many coal-mine closures and in several countries it has been greatly reduced. Production is now concentrated in Germany and Poland. Both countries have extensive lignite or brown coal production which is not generally traded internationally. Figures produced by Euracoal, the European Association for Coal and Lignite, show that in 2017 Germany mined 171mt of lignite plus just below 4mt of hard coal. Poland’s production of these categories totalled 61mt and 66mt respectively. Hard coal output in the UK was small at 3mt and it was just below that figure in Spain. Compared with three years earlier in 2014, all recent volumes are down, particularly for hard coal. So changes in consumption trends have been the main influence affecting European countries’ coal purchases on the international market. Steel mill consumption of, and import demand for, coking coal broadly reflected steel production trends. 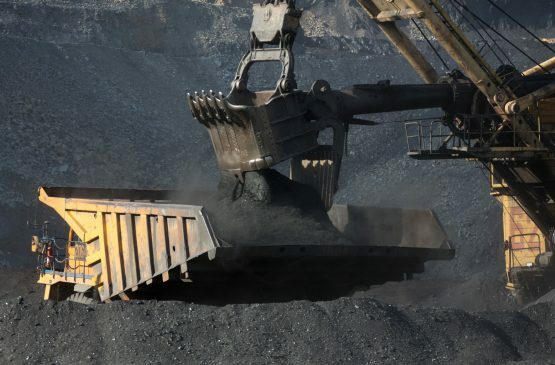 In the steam coal sector events in the energy market mostly driven by policy decisions were the biggest factor influencing coal consumption and import demand. Promoting cleaner energy resources is a long-established policy priority across the European Union. This aim has involved phasing-out large scale coal-fired power stations, substituted by gas-fired units and, especially during the past few years, moving more decisively towards renewable energy which mostly comprises boosting wind- energy electricity generation. By last year coal had a much more restricted share of electricity generation within the EU. According to calculations by the Oxford Institute for Energy Studies, coal’s share was 20%, slightly below the 21% share for natural gas generation and 22% for nuclear generated electricity. Hydro- power contributed 16%, while the proportion generated by renewables was 18%. European Union policy affects coal use through the Emissions Trading Scheme, air pollution directives and renewable energy targets. A focus on sustainability, mitigating climate change in particular, has been the key driver, accompanied by more attention to aspects such as energy security and industrial competitiveness. Although power sector decarbonization is a target, the EU still has around 280 coal- fired power plants operating, ensuring at least in the short to medium term a substantial market for steam coal (and the low-grade lignite which some power stations use exclusively). Recent reports have suggested that almost three-quarters of European coal- fired power plants, totalling over 200, are at least 30 years old, many of which may close when confronted by tough new emissions reduction requirements. A number of EU member countries have either ceased power generation from this sector, or have revealed plans to do so by a set date during the period up to 2030. In France, Italy, UK and Netherlands where target deadlines have been announced, coal-fired plants represent about one-fifth of the EU’s total electricity generation. In Germany, which has a larger presence than the four countries mentioned above together, a target date is awaited. Another driver more related to commercial influences than regional policies is the falling cost of renewable energy. Improving wind and solar power efficiency and economics are altering perceptions of future energy supplies. But for numerous countries, closing coal-fired plants is a longer-term process, because alternatives of the magnitude required are likely to be installed over many years. Premature extensive coal plant closures could cause disrupted power supplies which would be economically problematical and perhaps politically unacceptable also. Based on recent indications combined with some notional ideas, a likely outcome for EU coal imports in 2018 seems to be a reduced volume, possibly followed by continued weakening next year. Tentative Bulk Shipping Analysis calculations shown in the table suggest that a reduction of about 6% in the seaborne imports volume is plausible this year, about 9mt lower than seen in the previous twelve months. Partial support for this view is provided by an estimate for Germany by the country’s importers group VDKi reported a few weeks ago. This association predicted that the hard coal imports volume in Germany during 2018 could be 12% below the 51.2mt seen last year, reducing the total to about 45mt. Strengthening competition from renewable energy sources was cited as a key reason explaining the negative outlook. Further coal-fired power station closures are envisaged over the years ahead, resulting in import demand cutbacks. 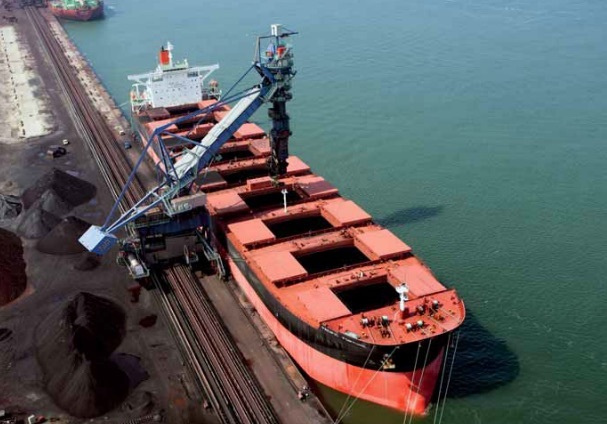 For the immediate future, concluding that annual EU seaborne coal imports will decline partly reflects guesswork, because the precise consequences of developments in all the individual countries are not easily predictable. While an overall increase seems highly unlikely, conceivably the total could be just flat, perhaps resulting from temporary influences providing support. Based on an extended view beyond the current year, however, most signs point to a downwards trend as a foreseeable evolution.